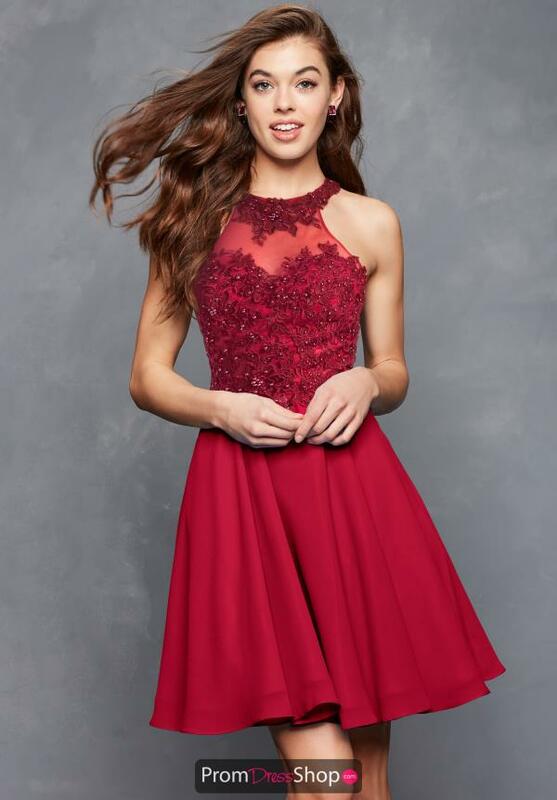 This vibrant homecoming dress S3528 by Clarisse will have you dancing the night away. Showcased is a fitted, lace bodice with a high, halter cut and sheer mesh material outlining a lovely, sweetheart neckline. The chiffon silhouette flows outward effortlessly with every move, completing this style with stunning volume.